*This post includes my affiliate links. I was sent products to check out. Opinions are my own. 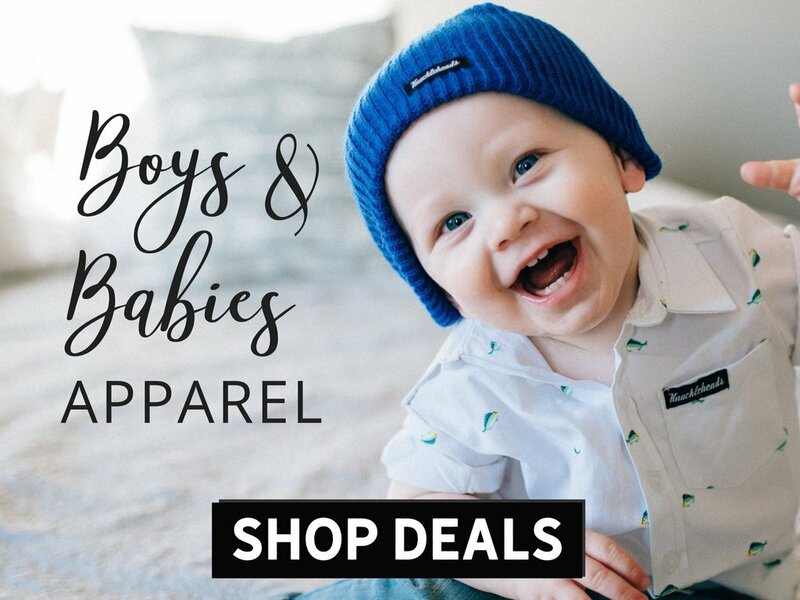 Totally adorable is what I was thinking when I was browsing Knuckleheads Little Threads Celebrity Baby And Kids Clothing for boys, online. They have some really cute and stylish clothes for your little ones! My little guy loves warm shirts that are soft, so I decided to purchase two super soft and comfy flannel shirts for him. He was so excited when they arrived (which was so quickly!). My little guy loves clothes, it is so funny. He will put on clothes all day long and take them off only to put different ones on again. He cracks me up, but he does have good fashion sense! I really like the style that Knuckleheads Little Threads carry. They are cool-looking and fun at the same time. They carry hats, hoodies, t-shirts, tanks, coveralls, shorts, pants, and more! Totally cute! The Knuckleheads Rusty Red Flannel and the Knuckleheads Transit Flannel, fit my little one perfectly with a bit of room to grow. These both have snap buttons which I really like because my little guy can put these on without me having to help him. They are soft and warm and perfect for wintertime! Knuckleheads Rockability Button Down Plaid Shirt Rusty Red and Transit flannel are made with a High-quality cotton fabric and the bold buttons make this shirt a standout for any budding little gentleman. Perfect for any occasion, this timeless piece is as dashing as it is functional. In a market that is notoriously limited to boys clothing, Knuckleheads has created a line that moms and kids will love, and dads will envy. Founded in 2004 Knuckleheads Clothing caters to parents who are looking for something different than the standard sweaters and khakis typical of the boys clothing market. You can purchase Knuckleheads Little Threads Celebrity Baby And Kids Clothing For Boys online at Knuckleheads! Connect on Twitter, Facebook, Instagram, Pinterest! This clothing looks very nice. Thanks for sharing! The clothing line looks so great! I love the high nice stitching and quality material. I love the styles of there clothing and the fabric colors and designs that they use. Nice gift for the little ones in your life . Cool shirts for kids, thanks for sharing.